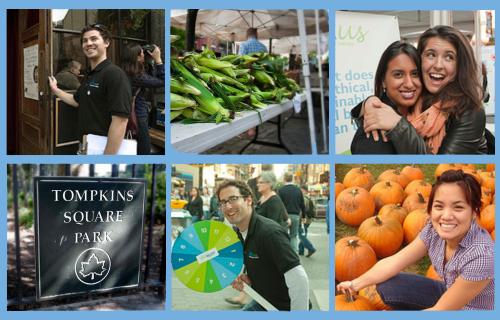 Our goal is to help you discover ethical and sustainable stores and restaurants in New York. We highlight local businesses that support employees, are environmentally responsible, and engage with their community. You save money by supporting these merchants who do good. Each week we send out a newsletter highlighting a local business that is particularly awesome in being environmentally friendly, good to their employees, and engaged with their community. Register now to learn about these businesses and how you can advance a more ethical and sustainable economy in New York by supporting them. Help us identify local businesses that raise the bar in the areas of ethics and sustainability. Click here to recommend merchants for us to evaluate. Clean up without using harmful chemicals or wasteful paper towels - lemon juice and vinegar in hot water make great natural cleaners! Resist the urge to peek in the oven! Every time you open the oven door, you lose about 25 degrees of heat. Make sure your oven racks are in the proper position before heating, and keep the oven window clean so you can check on your goodies without opening the door. If you have the space, multi-task your oven! Pizzas and pies, cookies and muffins, cake and casserole can be cooked at the same time. Use seasonal and local ingredients, of course! You can find all kinds of awesome produce at farmers markets like the famous Union Square Greenmarket.